John Riddell is a man of action. An English big game hunter and mercenary hailing from the turn of the twentieth century, Riddell has shared many a memorable misadventure with his best mate, the Doctor. He has gone on safari with the Eighth Doctor. He has caroused through the taverns of the Scarlet Junction with the Nth Doctor. 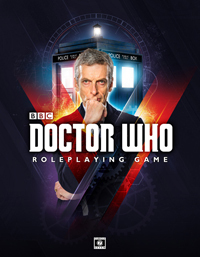 Now, he has embraced a life of chance and uncertainty as the Lost Doctor’s companion. A rugged outdoorsman who lives to challenge the odds and thrives on the thrill of the hunt, Riddell has spent a lifetime honing his senses and his hunting skills. He is an accomplished marksman, a seasoned fighter, and an expert in wilderness survival—though his arrogance and flirtatious charms tend to invite trouble of all kinds. Riddell embraces the wilderness and his greatest joy is sleeping on the savanna under an endless blanket of stars. In the Doctor, he has found a kindred spirit. Together, they bring out the best in each other. This entry was posted on 26/09/2016 by hedgewick. 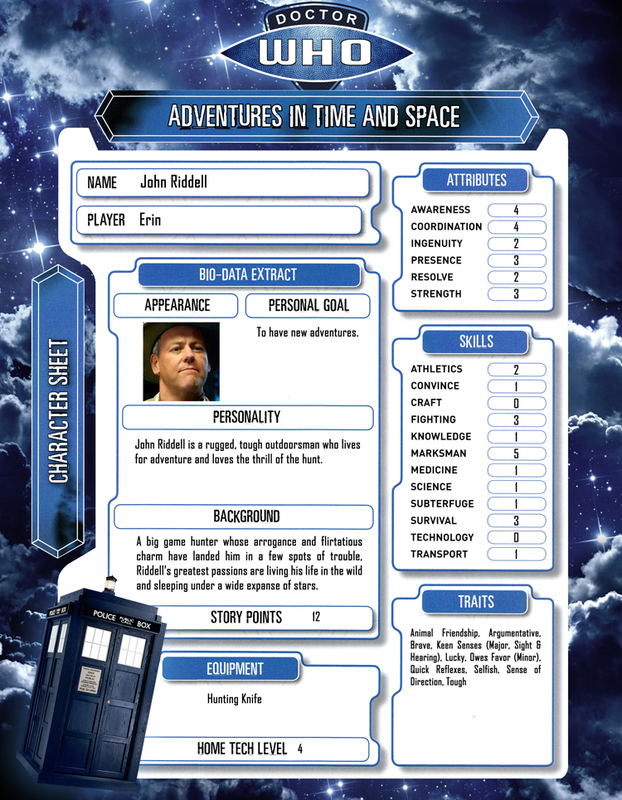 It was filed under The Lost Doctor and was tagged with Character Sheets, Riddell.